Does backup bios get updated after effective mainbios flash? I've received 15 likes I currently have no messenger contact information filled out. I currently have no social network information filled out. As the title says: After a successful q-flash bios update of the main bios chip, does a dualbios motherboard automatically (and if so, when should that happen? before the first windows boot?) update the backup bios chip or does the backup bios chip always remain unaltered (only the original factory bios version)? What system board are you using? I am using the Z390 Master and the original BIOS F4 is still intact as the backup BIOS after doing BIOS updates. I've received 10 likes I currently have no messenger contact information filled out. I currently have no social network information filled out. 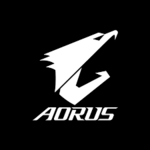 IDK about other models but as for Z390 Aorus Master, Yes if you update the main bios the back up bios will not be updated automatically rather you would have to flip the BIOS switch to Backup bios and Flash it again.